Hamlin's Digital Citizenship curriculum is a thoughtful and intentional program that begins in Kindergarten and goes through graduation. The program is deeply interwoven within our Health & Wellness, advisory and iPad curriculum. Our goal is to educate students to participate responsibly in the online world. We use Common Sense Media's Scope and Sequence tool as our primary teaching guide while working with students to develop competency for online behavior both at school and at home. Digital literacy and citizenship are continually addressed with a focus on privacy, online safety, communication, digital footprints, proper citation practices, and research skills. 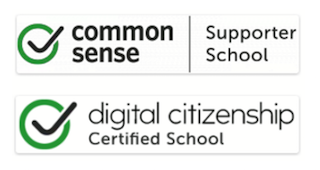 Our belief is that every Hamlin teacher is a digital citizenship teacher and our support for staff members in becoming Digital Citizenship Certified Teachers has allowed our school to be recognized as a Digitial Citizenship Certified School. 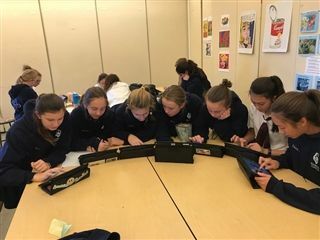 Students participate in group activities that help them understand how to live the Hamlin creed in their online life—Compassion, Courage, Honesty, Respect, Responsibility. In addition, we provide Hamlin parents with educational opportunities several times a year, highlighting the media literacy skills taught to their daughters year-round. We believe that our two-way partnership with parents continues to be a key to the success of our work. Click here to better understand our relationship with Google for Education.